What can I do about my clogged toilet in Puyallup? Toilet clogs are often routine things. Most people have dealt with using a bit too much toilet paper at one point, causing the toilet to not flush everything down properly. Then it’s time to retrieve the handy plunger and get it fixed. Sometimes, however, toilets can get clogged in a mysterious way. And when the plunger becomes ineffective, what can you do? You might need the help of a plumber. Call John’s Plumbing & Pumps, Inc when you have a clogged toilet in Puyallup, and we’ll send someone over to take care of it. Why would a toilet clog on its own? A lot of times, you know exactly why a toilet gets clogged, and as a result, can usually take care of it on your own. But what about those times when it stops working out of nowhere? What causes it to act up on its own? Something might have gotten flushed down that shouldn’t. Non-biodegradable objects don’t break down like toilet paper, so if they get stuck, repeated flushing isn’t going to solve the issue. Children are notorious for seeing what will go down. However, it could also be something that fell in by accident without your knowledge. Tree roots are something else that can get into your pipes and form a clog. While it might seem like a unique event, tree roots causing drain clogs isn’t especially unusual. 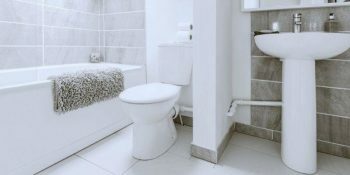 Keep an eye out for common signs of roots in the drain lines including frequent toilet stoppage and multiple plumbing fixtures acting up at the same time. If you’re on a private system, your septic tank could be the problem. Slow draining is one of the telltale signs of a broken septic system, and one that you should have inspected by a plumber immediately if DIY drain cleaners don’t work. If you act fast, you might be able to stop it before your plumbing stops working entirely. You could need your drains cleaned! 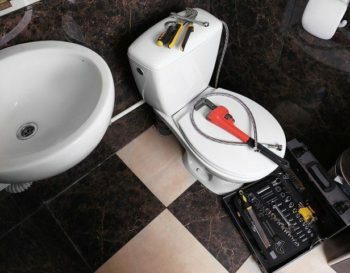 If your toilet is clogged and there doesn’t seem to be an obstruction, it could just be that you have a dirty drain. Hard water deposits and other buildups can accumulate over time. Using modern techniques like hydro jetting, our plumbers can clear out your drainage and get everything flowing smoothly once more. Choose us to fix your clogged toilets in Puyallup and much more! At John’s Plumbing & Pumps, our competent plumbers can handle just about everything. There’s much more to plumbing than clogged drains and toilets! We can check to make sure you don’t have any unknown leaks through a plumbing inspection or do water heater maintenance so your hot water will last longer. We can install new systems throughout your property such as whole home filtration systems and water softeners too. And we can even help you put in a new toilet and sink, giving you peace of mind by letting our professionals check that everything is hooked up properly. No matter what kind of help you need with your plumbing in Puyallup, we can handle it!